This split level home sits on 11.75 acres in Oxford and is a must see!!! The home will need some TLC, but can be a lovely home. The family room has large trey ceiling with masonry rock fireplace with built in bookcases. Large bay window with seating overlooking the wooded front lawn and view of the lake. Off the family room is the large solarium with tile flooring and room full of windows that look into the private back yard. The property boast a large storage building with a metal roof and a brick patio with a brick smoke pit. Home sits across the street from a lovely lake. The roof is roughly 10 yrs old. Property has a paved drive with parking. Front yard has also has an irrigation system. 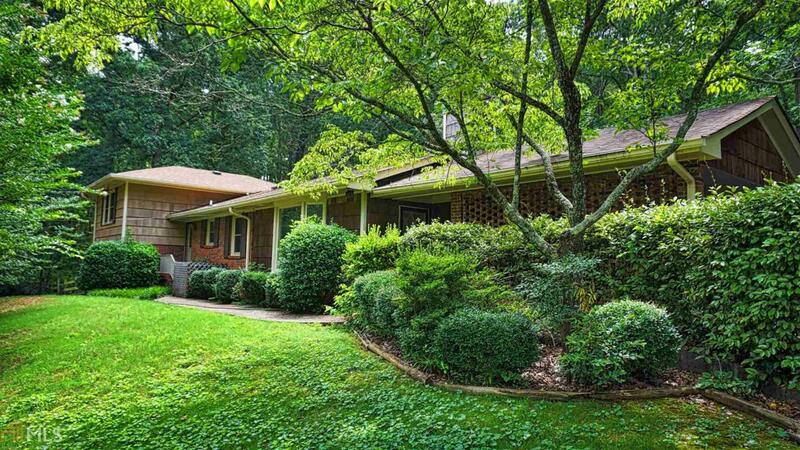 This home sits on a dead end road that is peaceful and private.